Sold as stamps in their most basic form, unmounted stamps are just that – a piece of red or grey rubber which will allow the user to create an image on either a 3D or flat surface. They often have several images on one sheet, which need to be cut into several individual stamps. 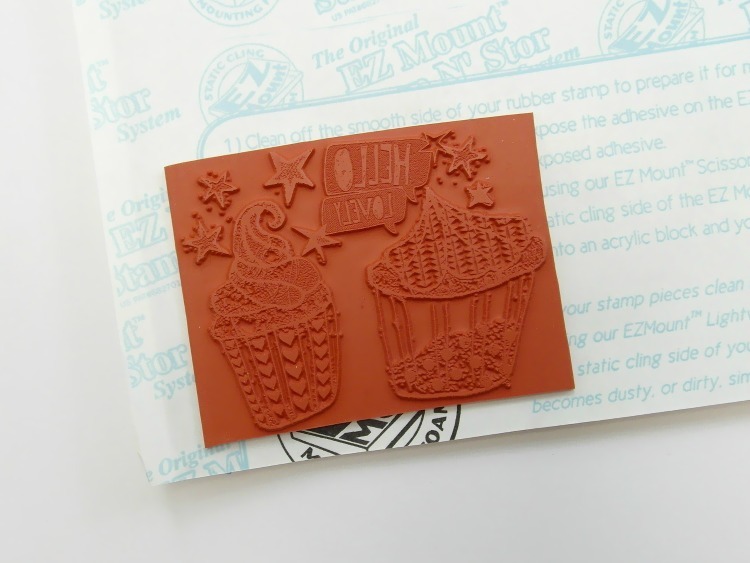 Unlike cling mounted stamps, unmounted stamps don’t have an adhesive surface, so they need a little work before they can be used for crafting. As well as needing an acrylic block or non-porous surface, you’ll also need to buy some foam or Tack ‘n’ Peel to make sure they adhere properly – this is a relatively easy and mess-free process, though, so if you’re short on storage space and want to keep costs down, unmounted stamps are an ideal choice. 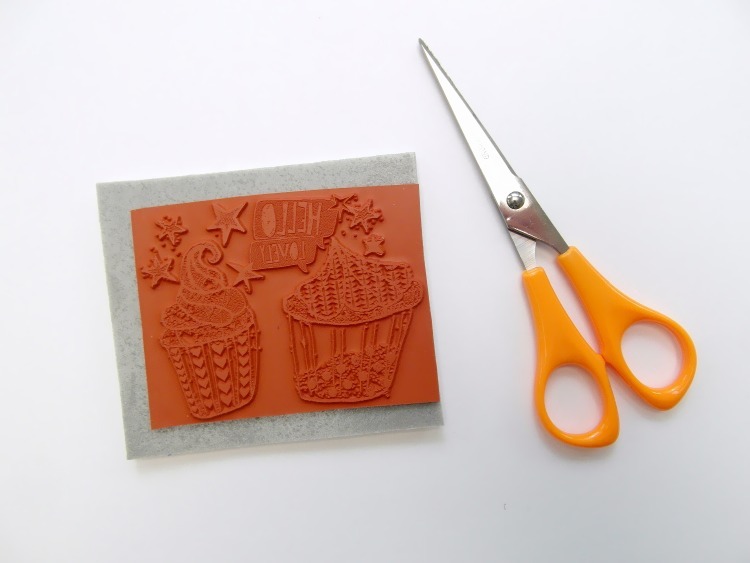 Before you decide which method you're going to use, you need to decide whether you want to mount your stamps temporarily or permanently; attaching them to a layer of foam is irreversible and once they're stuck, they're stuck! For something a bit more short-term, opt for Tack 'n' Peel - this clever clear sheet allows stamps to be temporarily attached to a block or roller, then removed again after use, and you can even restore the stickiness by simply rinsing the adhesive surface with water and allowing it to air dry. The flexibility makes it the ideal solution for printing onto 3D objects such as plant pots or vases, or wrapping around a roller to create a great repeating pattern. 1. Trim your stamps to the required size, and if the sheet contains more than one design, cut them into separate stamps. 2. Cut your sheet of Tack 'n' Peel to the same size as your block or roller. 3. Peel the yellow liner away, and press the sheet onto your clean surface. 4. Remove the clear liner, and store somewhere safe - you'll need this once you've finished stamping. 5. 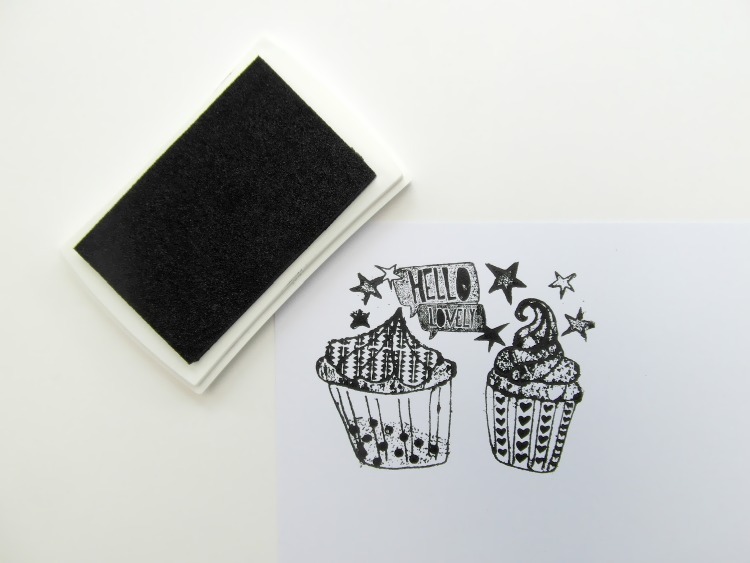 Place your rubber stamp onto the other side of the Tack 'n' Peel, and stamp away! The sticky surface means that you can use pretty much anything to create an image, from string to bubble wrap and rubber bands - if it sticks, you can print with it! 6. Once you've finished, remove the stamp or object that you were using, and replace the clear liner to protect the adhesive surface. Clean your stamp thoroughly with soapy water, and store in a plastic CD case. 1. Cut a piece of foam roughly the same size as your stamp. 2. Peel the back from the adhesive side of the foam, then press your stamp down firmly. 3. Trim around the edge, so your stamp and the foam are exactly the same size. 4. Peel the backing away, and press your stamp onto the block. You’re ready to print! There’s also the option of mounting your stamps more permanently onto a wooden block, using a strong glue – but this should only be done if you have the space to store your stamps correctly. 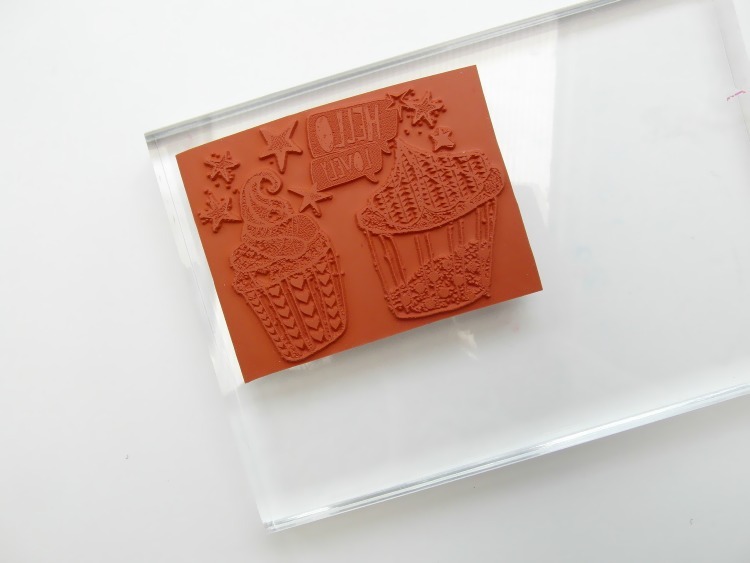 Once you've attached the foam to the rubber stamp, simply cover the reverse in a layer of glue, and press down firmly onto a wooden block of appropriate size. Adding the foam layer is a crucial step, as without it the stamp won't create a crisp and clear image.